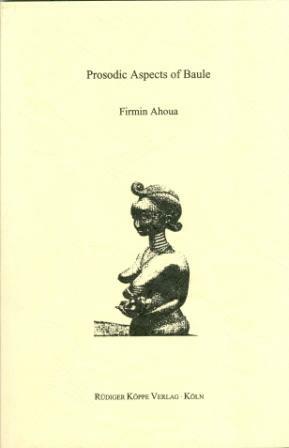 Author: Firmin Ahoua. Series edited by: Wilhelm J.G. Möhlig, Bernd Heine. Baule / Bawoulé is the major language of Côte d’Ivoire / West Africa with appr. 2,130,000 speakers (source: SIL 1993). Genealogically it belongs to the Kwa languages (Niger-Congo). This book is devoted to the prosody of Baule with the main emphasis on syllable template, tonal rules and aspects of intonation. Taking Baule as an example, the author examines the importance of rhythm and intonation in West African tonal languages. Furthermore, parallels and differences between the prosody of Baule and German are described.